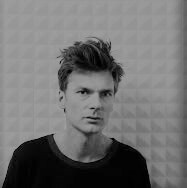 Clemens von Wedemeter lives and works in Berlin and holds a professorship for media art at the Acamedy of Fine Arts Leipzig. The artist and filmmaker studied photography and media at the Fachhochschule Bielefeld and the Academy of Fine Arts Leipzig and graduated as Meisterschüler of Astrid Klein in 2005. Clemens von Wedemeyer participated in group shows such as the 1st Moscow Biennale (2005), the 4th Berlin Biennale (2006), Skulptur Projekte Münster in 2007, the 16th Biennale of Sydney (2008) and dOCUMENTA (13) (2012). He had solo shows among others at MoMA PS1, New York, ARGOS Centre for Art and Media, Brussels, the Barbican Art Centre, London, Frankfurter Kunstverein, Museum of Contemporary Art, Chicago, and Hamburger Kunsthalle. “ESIOD 2015” premiered at the 66. Internationale Filmfestspiele Berlin (Berlinale) in 2016.